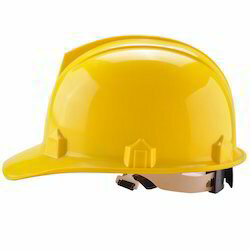 To ensure complete protection and safety of the head, we offer the best quality of Safety Helmet to our clients. These are manufactured using the best quality of raw materials in stringent compliance with industrial quality standards. These helmets are known for their sturdiness and toughness. 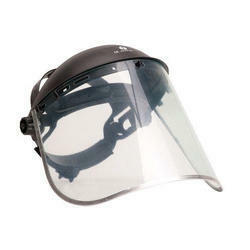 Their robust built prevents any damage to the head during accidents and other such mishaps. These ensure the safety of the head at all times. The Face Shield manufactured at our high-end infrastructure facility is known for being durable and damage-resistant. These are manufactured using the best available raw materials and are available to clients at leading market prices. These shields are used to protect the face from any harm. These protect the face from accidental spills, sharp objects and other such potentially dangerous objects that could cause damage. These are checked on their quality by experienced auditors. 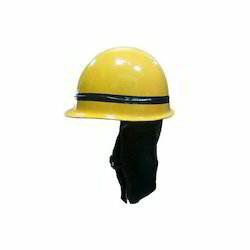 Our range of safety products includes Fiber Glass Helmet. These helmets are manufactured in optimum compliance the current quality standards based on the client’s furnished specifications. These helmets are manufactured using high quality fiber glass and are known for their sturdiness and durability. These helmets are priced reasonably to suit the budget of the clients. Being light-weight, these are comfortable to wear as well. These are ideally suited for industrial applications. Looking for Safety Helmet and Face Shield ?